If you’re looking for the best Branson Garfield’s coupons, you’re in the right place! Garfield’s is a casual, family-friendly, full service Pub and restaurant. From Garfield’s great burgers and sandwiches, for steaks, ribs, pasta, and salads; their menu has something for everybody. Garfield’s provides a wide variety of beers along with specialty drinks and a top-shelf PERFECT MARGARITA! For bar nibblers and big eaters, Garfield’s Restaurant & Pub is Branson’s go to. Garfield’s Restaurant & Pub has healthy eating, serving a range of low-fat items that are sure to impress people on (and off) a diet plan. Celebrate with an broad collection of wine and beer that compliments your meal. 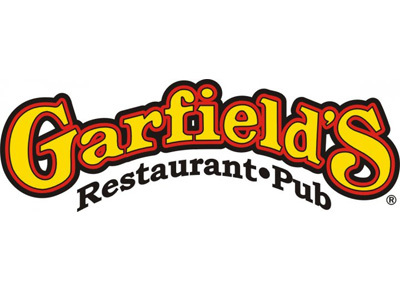 Score happy hour coupons and deals at Garfield’s Restaurant & Pub. Diners who appreciate a no frills environment will feel comfortable in a Garfield’s Restaurant & Pub in jeans and a hoodie. You can also enjoy delicious take out food from the restaurant. Like to ride your bike to grab a bite instead of drive? There are numerous racks to store your bikes Garfield’s Restaurant & Pub. Who’s hungry for great grub for a reasonable rate? Garfield’s Restaurant & Pub’s flavorful creations can leave a mark on your memory but go easy on your pocketbook. So once you’re in the mood for tasty pub food, make your way to Garfield’s Restaurant & Pub.